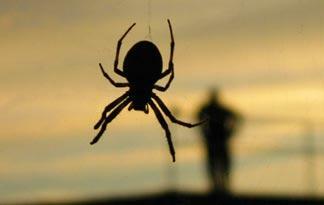 Does the sight of a spider cause you to run from the room? Do you feel panicked at the very thought of an animal encounter? If so, you might be one of the many Americans -- 6 percent, according to anxiety expert Dr. Martin Antony -- who have an animal phobia. Whether these fears stem from urban legends or real-life encounters, it's normal to be scared of wild animals that could cause you physical harm. But do some animals get a bad rap, thanks to tall-tales or out-and-out myths about them that just won't go away? Keep reading to find out which animals are most likely to give us the heebie-jeebies, which of those are actually worthy of our fear and respect, and what you should do if you encounter your worst animal nightmare.